Mary Tutterow, a Medi-Share member for four years, has been a caregiver for more than 25 years. 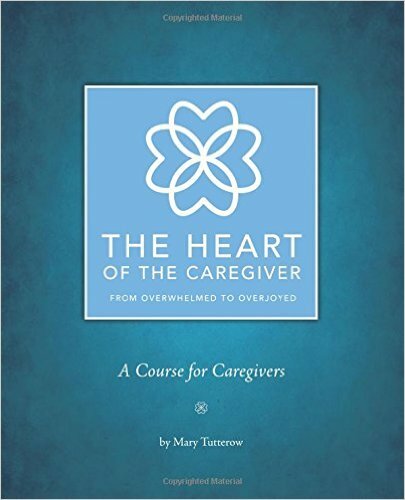 And now she’s sharing parts of her journey, her insightful wisdom, and God’s truths for fellow caregivers in her book, The Heart of the Caregiver. Q: What led you to become a writer? A: I have enjoyed communications (reading, writing, journaling, etc.) my whole life and majored in communications in college. I became an anchor woman and eventually a partner in a PR-based marketing firm, where the written word was everything. Q: What led you to write The Heart of the Caregiver? A: Our first child was born with several medical issues. 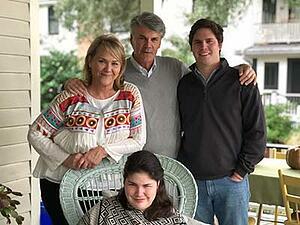 We traveled all over the country looking for answers and ended up with her having a hemispherectomy at UCLA. I began to journal what was happening to us and what I heard God saying to my heart. After years of hospitals, waiting rooms, and special needs classrooms, I saw hundreds, if not thousands, of other families just like ours – struggling with the care of someone with exceptional needs. I ached to share the love and hope God had given our family, so I turned what was in my journals into a curriculum and started sharing in small groups of other caregivers in my church. Q: Describe the basic premise of the book. A: Learning to love and care for ourselves and others through Christ who strengthens us. Q: How has the Lord used this book in your life and the lives of others? A: From the first time I started sharing what He was teaching me with others, the effect was profound. I could feel His presence and pleasure as I wrote and taught, and I could see the profound effect His Word was having on others. It’s so hard to set aside your busy life, even hopes and dreams, to care for another person and to have to watch someone you love suffer. The questions become, “Where is God? How could He allow this to happen?” When caregivers can recognize the ways He is at work in their situation and see that there is no greater love/honor than to care for others, their perspective shifts and they can see this as a journey into supernatural love. Q: Besides writing, what are you passionate about and how do you spend your free time? A: I don’t have a lot of free time as our daughter lives at home with us and requires one-on-one assistance. We do have caregivers who come and go. When I have a free minute, I’m writing, creating videos, etc. from our home as I am passionate about connecting with other family caregivers and directing them to the love, healing, support, and community I know they so desperately need. God’s Word and this community are my lifeline. Q: What led you to Medi-Share? A: I heard about Medi-Share on the radio and thought it sounded like a wonderful idea. We became frustrated with other providers and took a hard look at Medi-Share and loved what we discovered. Q: What has being a part of this community meant to you? A: Whereas with most people, where sickness comes and goes, we are part of that group of people where dealing with insurance companies, hospitals, doctors, etc. is almost a daily activity. Interacting with people who truly care for our family has been life-changing. Medi-Share is not just about working out bills; it’s folks who will pray for us and see us as an important part of the Body of Christ. We ARE all one. When we suffer, others suffer. When we rejoice, others rejoice with us. It’s the way it’s supposed to be! To read more about her story and to purchase Mary’s book, The Heart of the Caregiver, visit her website at theheartofthecaregiver.com. If you are a Medi-Share member who has published a book, Bible study, devotional, etc. and would like to submit your work for review, please email blog@tccm.org. Mary and her husband Winn live in South Carolina and are the proud parents of two adult children - William, who lives on his own, and Mary Addison, who lives at home with them. She has a chronic seizure disorder as well as mental and physical challenges, yet she is truly the Light in their family.